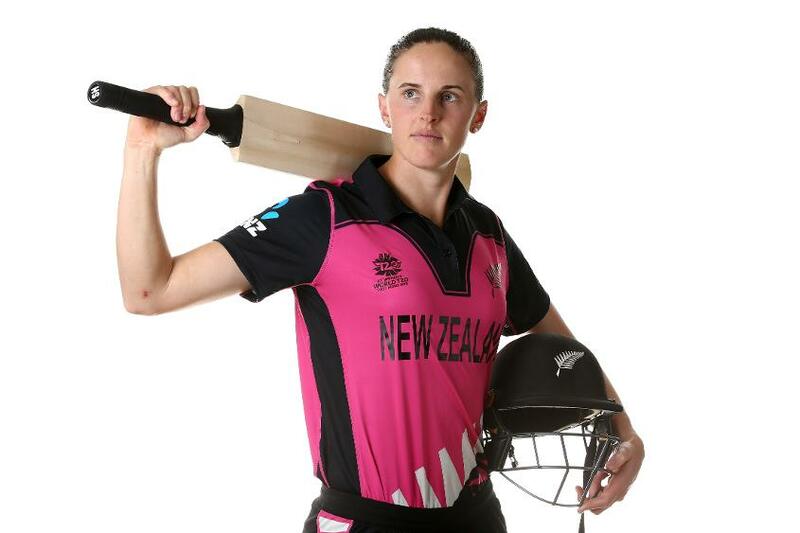 Amy Satterthwaite, the New Zealand skipper, expects her team to be ready for India's spin-bowling arsenal in their opening clash of the ICC Women's World T20 2018 at Providence Stadium in Guyana. India beat England by 11 runs in their final warm-up clash on Thursday, 8 November. Eight England wickets fell in the game, all of which were claimed by the Indian spinners. “I think we know what India is going to throw at us,” Satterthwaite told the reporters ahead of the tournament opener. “The Indians spin the ball extremely well. What they showed against England, is they put the ball in really good areas and ask a lot of the batter. New Zealand are up against India, Australia, Pakistan and Ireland in Group B, and the top two teams will progress to the knockout stages of the tournament. All the Group B matches will be held in Guyana before the action shifts to Antigua for the semi-final and final of the competition. “We know throughout the tournament you're going to have to adjust to the wickets as they probably change throughout the tournament," added Satterthwaite. "It's nice to get the first opportunity on it tomorrow and get to assess the conditions. "I really enjoy the technical side of the game, and I think trying to bring that into our approach and really assessing the games that we've got coming up"
The 32-year-old was appointed the White Ferns captain in September to replace Suzie Bates, who stepped down from the post after six years at the helm. Speaking about her approach to leadership, Satterthwaite said, "I think, to some extent, similar to Suzie, in a sort of laid-back approach, but I really enjoy the technical side of the game, and I think trying to bring that into our approach and really assessing the games that we've got coming up, the opposition that we're playing, and how we're looking at that. "This is a chance to compare ourselves against the best in the business" – Amy Satterthwaite feels @WHITE_FERNS are more than up for the Women's #WT20 challenge. "Lastly, probably just a real confidence and trying to instil that into our players is something that I think is really important for me as a leader. Ultimately in cricket, it can be really up and down, so the more confidence I can instil in the girls, hopefully, we're in a good place." New Zealand played two warm-up matches as part of their tournament preparation. They won against Sri Lanka by six wickets, but then lost by a seven-wicket margin to the home side, the Windies. "I think we've got some real positives in the air, and I think we've got some things we know we need to tidy up," said Satterthwaite. "We obviously got exposed a little bit in our first six overs by the West Indies. I thought they played some really explosive cricket and sort of tested our bowlers, so it's something we really want to try and tidy up looking forward. But at the same time, we bowled really well at times against Sri Lanka," said Satterthwaite. "So we know that it's probably been here, but it's that consistency with both bat and ball that we're really looking to tidy up going into the tournament."